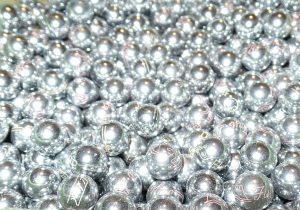 We are committed to providing the absolute best quality workmanship we can for our customers. 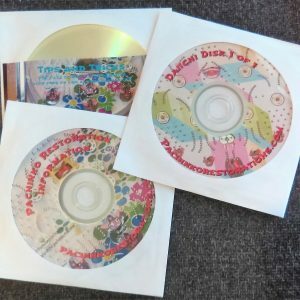 Since our start, we have continued to grow while staying true to our original mission — to give our customers, a nice looking workable pachinko machine they can rely on. 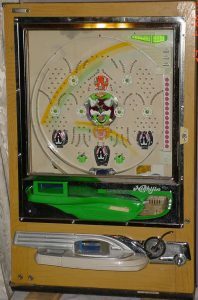 To bring the same joy to there kids they had growing up playing pachinko. 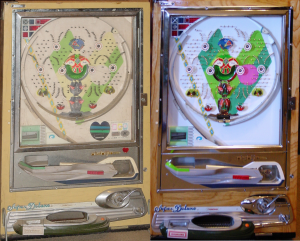 Vintage Pachinko is a subsidiary of Pachinko Restorations! 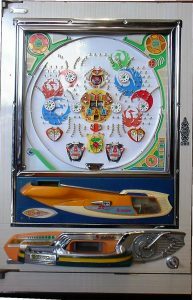 This website is for selling vintage pachinko machines from Japan. 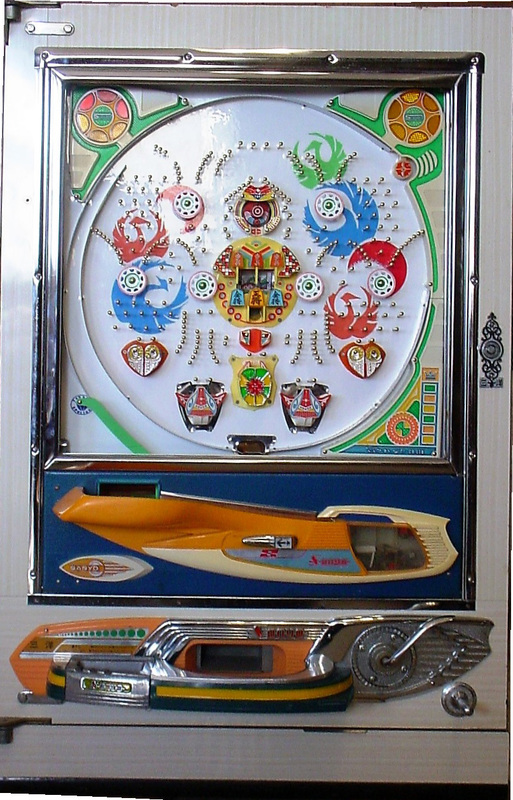 On this site you can buy restored vintage pachinko machines. We created this site to sell restored machines without the clutter of outside ads that have nothing to do with pachinkos. I don’t care for these things and I won’t subject you to them. 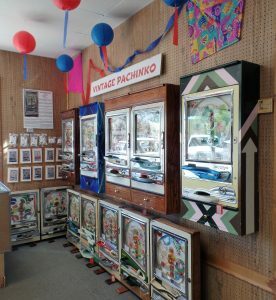 We striving to do our best to restore these pachinko machines, to get them back to their original working condition, so your kids can have as much fun playing as you did growing up. 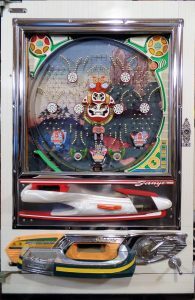 If you have a idea you want to see on a pachinko machine or a favorite artwork as a background, contact us with a photo of the front and back of the machine and a detailed description of what you would like. Copyright artwork would need a release for use. 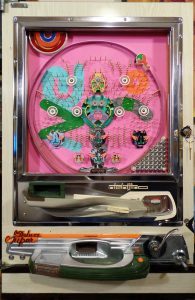 I am always looking for Vintage Pachinko Machines from the 60’s and 70’s, working or not so clean out your closet, attic, basement and garage. Price is determined by condition, functionality, manufacturer, playing field features, accessories and the distance I have to travel outside of the Tulsa area or shipping cost. If you send a photo (front and back please), I can give you a better idea of what I will pay. If you just want to get rid of yours, we will pay for the shipping in most cases. These machines have been stripped down to its basic parts and thoroughly cleaned. All of the plastic and metal parts of the mechanism were cleaned and polished. All of the original components were reused and any missing or broken parts have been replaced, repaired or fabricated to working condition. New replacement parts have not been produced for over 40 years. All nails as well as the chrome frame were hand polished and the paint on the playing field features have been touched up as needed. 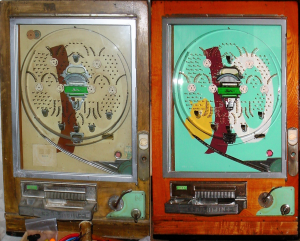 When the machine was reassembled, all wood screws holding the mechanism and on the playing field were replaced with stainless steel screws. 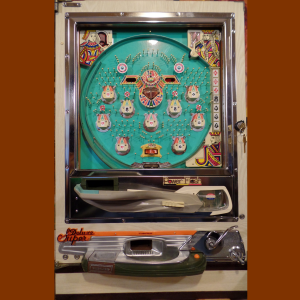 Once the machine was reassembled, it was thoroughly tested and playing field nails have been adjusted for playability.